In between the wars the seaside resort of Sopot, or Zoppot as it is in German, gained a reputation as the Monaco of the Baltic, and became something of a magnet for the rich and famous. This was primarily due to the casino complex that existed on the spot between the pier and the Sofitel Grand Sopot Hotel. Although the town escaped most of the WWII destruction suffered by Gdansk, the casino complex didn’t, and it was destroyed by Red Army artillery as Red Army gunners on the overlooking hills shelled citizens awaiting evacuation on the beach. The post war years saw these vignettes of vintage Sopot replaced by concrete blocks housing first shops, and then bars and clubs. However a visitor returning now after having been here in the early part of the century would struggle to recognise the place such have been the changes. The local government and developers set about trying to recreate the bygone glory years when Sopot was considered a destination of international standing, and a series of projects were launched to change the face of the city. Central to this, and the first to be completed, was the 189-room Sheraton Sopot Hotel Conference Center & Spa. Featuring 4,300 sq. metres of conference space, a 400sq. metre ballroom, two restaurants, two bars and the return of luxury spa facilities this is the bottom line in five star opulence, and proof enough that Sopot means business. And, right outside the Sheraton, where once tourists had to take their chances crossing a busy road a traffic tunnel running underneath Monte Cassino has served to make the whole area above more pedestrian friendly. Further developments saw a new-fangled version of the historic Therapeutic House opened (see Sopot spa), as well as even more leisure, office and residential space including a Multikino complex. Work on the pier has been completed, and this includes the addition of a marina which reputedly cost €11 million and which now provides Sopot with moorings for around 100 yachts, as well as a full support network of chandlers and marina management. All of this urban renewal has not been universally welcomed. Some Poles have complained about what they see as a lack of character in the new heart of Sopot. Others feel that the particular atmosphere Sopot had during the communist years, which was one of a carefree, artistic and Bohemian bent, has been sold in the name of progress and profit. Gripes aside the level of investment and development truly has been extraordinary and it isn’t finished yet. Moving inland, and the famous Opera Leśna has undergone a 78 million PLN revamp, while a further 300,000zł has been earmarked for the neglected horse racing track by Sopot Wyścigi station. 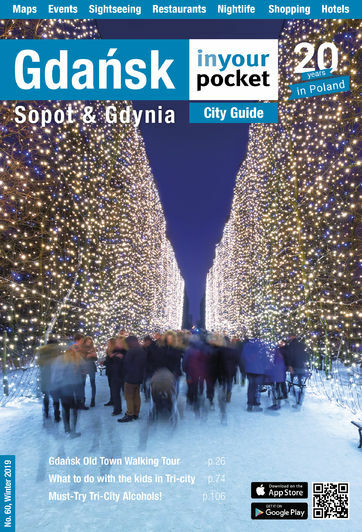 Sopot is back as an international destination and the future looks increasingly positive.